Gosh it’s come round quick! 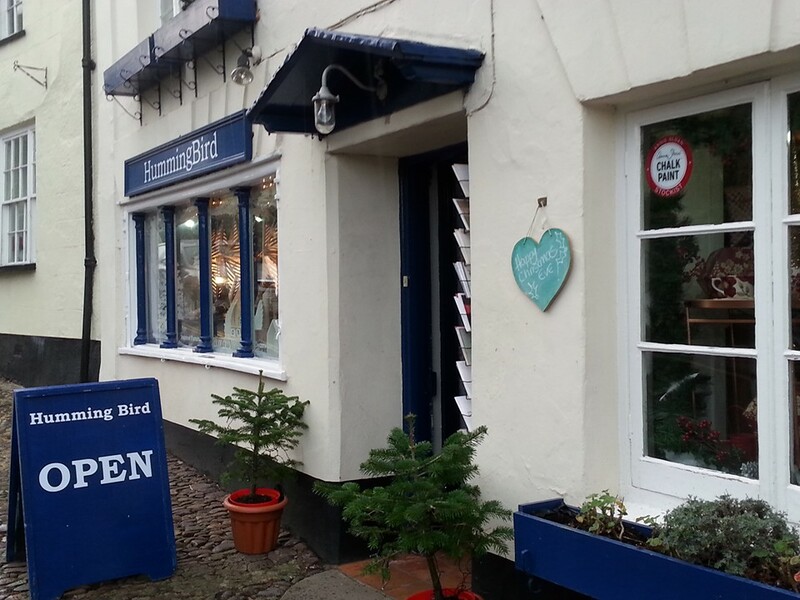 We are having a fantastic time staying in the beautiful White Cottage in Carhampton. It is a lovely 3 bedroom cottage with not 1 but 2 wood burners to keep Lock happy! It is in a great location for walks across beautiful countryside with the sea to the right and Exmoor to the left. The dogs are very dirty and in their element. We had a ramble across fields to the sea yesterday to Blue Anchor. To get to the beach we had to cross the railway line and managed to time is just right so that the steam train that goes from Bishops Lydeard to Minehead passed just as we got there….toot toot!! I collected some rocks from the beach which seemed like a good idea at the time but made the 2 mile walk home a little bit harder! I have drawn the children’s initials on some as a marker for their pile of Christmas presents and plan on using the rest as place names using chalk to write peoples names on them. Today we walked into Dunster by the deer park. 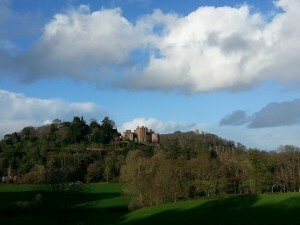 It is a view i have never seen of Dunster before and was stunning. Coming across the land towards the castle with amazing landscapes of dead trees, i could imagine Kevin Costner stealthily advancing on Alan Rickman in Robin Hood Prince of Thieves!! We had a cheeky lunch in the Luttrell Arms which is a gorgeous hotel and pub. Open fires, tasteful decs and a few drinks got us in the Christmas spirit. Mike popped in to Humming Bird to see the Annie Sloan stockist to say hello. A lovely little shop tucked up the road that connects the 2 main streets in Dunster, it is filled with treasures and fantastic gift ideas. Merry Christmas everyone! Hoping that you all wake up tomorrow to family, friends, good health, pressies, excited kids, a cheeky Bucks Fizz and fantastic food…because we all know you won’t be waking up to snow!